This week, the color combo challenge at SPCC is very fun and summery. Use this color combo for your project -be it a card, scrapbook LO, 3D or altered item. 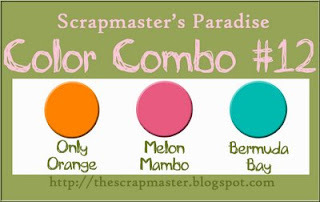 You do NOT have to use Stampin' UP brand colors, but you do have to use colors close to these colors. Great card - love your use of the SPCC colours. YUM! That card is delicious! GREAT WORK! I adore what you've done with the SPCC colors! Wahoo! Love this gorgeous card! Great job with the SPCC colors! Thanks for joining us! 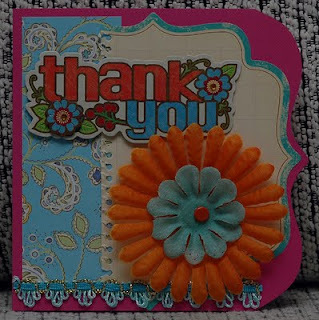 Thanks for sharing this bright and delightful card with us. Love it! The shape is wonderful and the thank you sentiment is so fun and cool! Awesome shaped card. Great job with the colors.